7" x 6�" x 12" high. 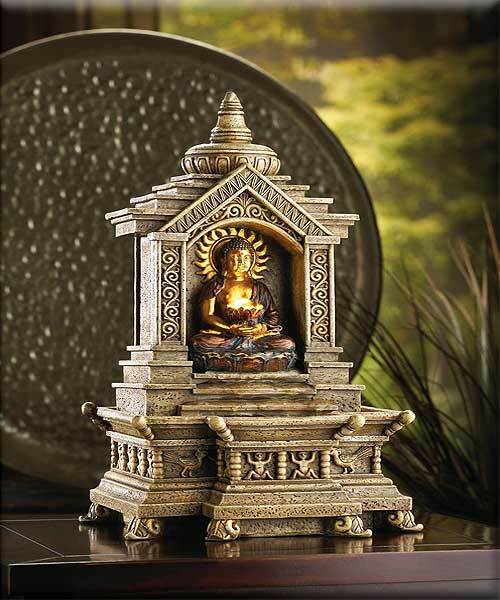 Stock# - 14773 Golden Buddha Temple Fountain - Buddha reclines within the shelter of his temple as cascading blessings flow from his glowing basket. 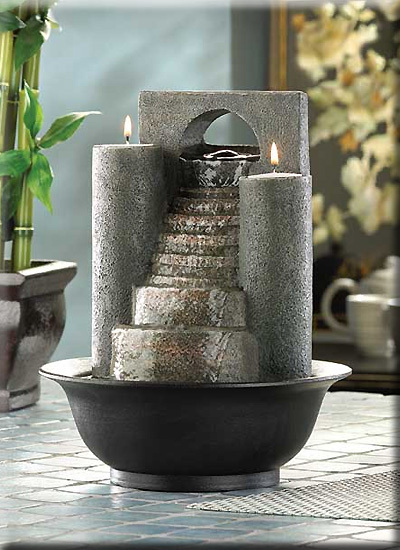 Faux-stone tabletop fountain is the perfect centerpiece for your own shrine of serenity! Electric pump included. Resin. 7" x 6�" x 12" high. 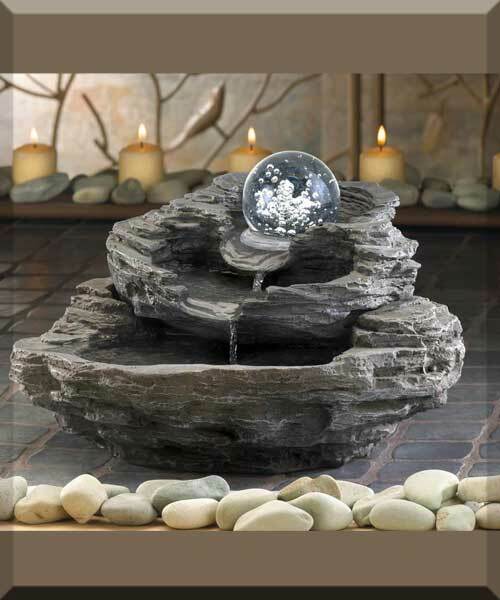 Stock# - 34807 Water cascades from beneath the gently spinning marbleized orb, showering the rocklike tiers below. UL Recognized. Alabastrite. 10 3/4" x 10 3/4" x 6 1/2" high. 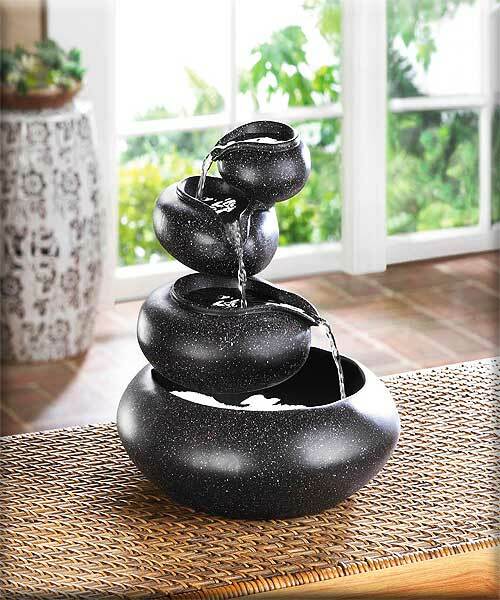 Stock# - 31140 Four Tier Tabletop Fountain - Four granite-finished tiers cycle sparkling water from bowl to bowl, creating an enthralling meditation piece. With 120v pump. For indoor use only. UL Recognized. Alabastrite. 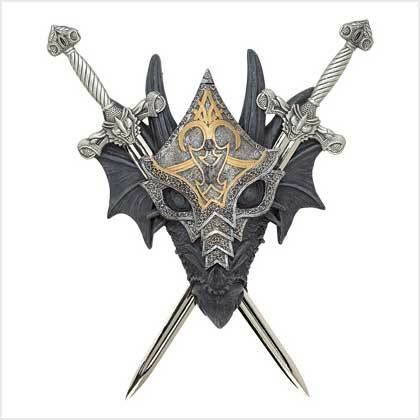 Stock# - 39269 Armored Dragon Wall Crest - From beneath the hood of his intricate armor, a horned dragon inspires heartfelt fear with his malicious stare. Removable swords are a chillingly accurate miniature version of the mighty weapons wielded by history's fiercest warriors. 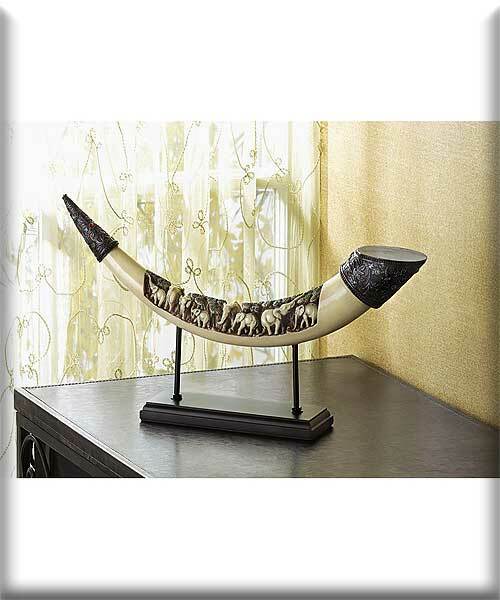 A crest fit for a king, ready to mount on the wall or door of your own castle! Poly resin with pewter swords. 8 5/8" x 2" x 9 1/2" high.